Looking to have your next RACE event professionally timed and on budget? 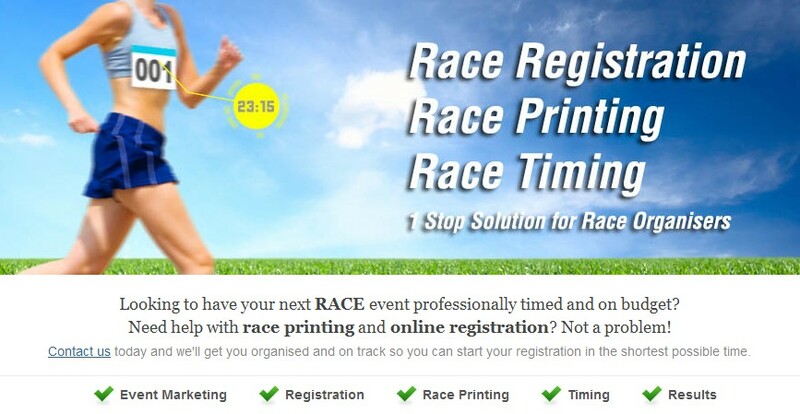 Need help with race printing and online registration? Not a problem! We have been providing race printing services for almost 10 years now. The original fully digital variable printing experts. 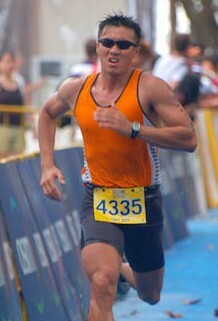 Our bibs have been used in many prestigious international events both in Singapore and around the region. From as few as 100 pieces to in excess of 100,000 pieces, we can offer your event a quality product at an affordable price. All our race number / race bibs are tear and waterproof. In addition, we are able to personalise the names of every participant onto their bib. Such personalisation and creativity helps you to differentiate your event and provide a highly personalised experience for all your participants. For once, the supports can chear every participants name as they run past them. Also great for the emcess who can call our their names as they cross the finish line. 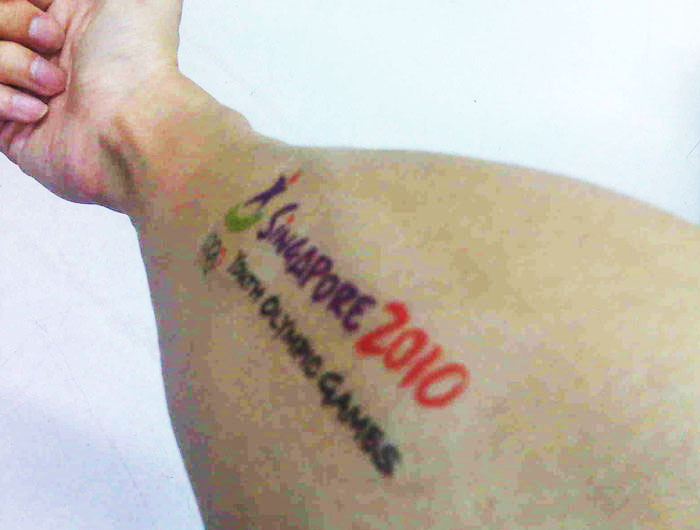 Body marking INK for use with rubber stamps for Triathlon / Biathlon / Swim events. Some of the items we produced are the helmet stickers, which are produced from LOW TACK PET FILM, this way, the helmet identification stickers can be easily removed without leaving marks on the expensive helmets. 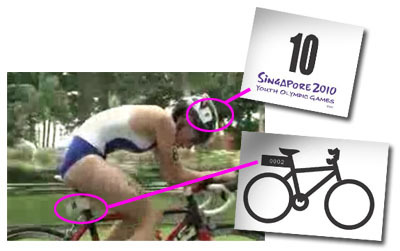 Also being used in the Triathlon, the Bike Flags which we produced from premium 350gsm card stock. The Bike Flag is wrapped around the seat post and printed with the atheletes race number. We have completed our printing 120,000 pieces of personalised race bibs and manged to complete in 3 days. We helped conceptualise the very unique Passion Run 2012 race certificate. It has to be one of the best looking race certificates this 2012 race season. The certificate contained the participants race photo with a graphical representation of the runners rankings. It also was gloss laminated and die cut into a unique jigsaw puzzle. With over 10 different bib designs, 5 colours and various categories, we printed the race items bibs, stickers, bike flags, wrist bands... just to name a few in short notice, even being able to accomodate last minute print requests 1 day before the event. We have been providing online registration systems for race events since 2003. Triathlons / Biathlons / Runs we have done most of them. Our online registration system includes a race expo management module including barcode readable forms for easy data retrieval on race day. Some recent events that we have been involved in. North East Run, Zoo Run, Passion Run, OSIM Singapore Triathlon, Nike Human Race, Corporate Triathlon, Milk Run, City Duathlon to name a few. We provided the online race registration and race expo platform for Singapore's largest half marathon running event this year, with over 40 thousand participants. The race expo system suppored 20 counters via WiFi. We used barcoded confirmation slips and fast search capabilities to keep the waiting time down to only 6 to 10 minutes even during peak times.